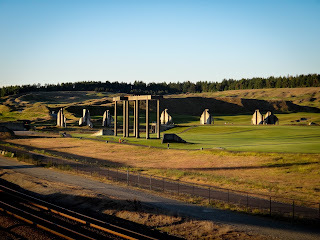 Some of the gigantic cement structures around the Chambers Bay park are sort of mysterious, making a person think of Stonehenge and what that ancient place was used for. 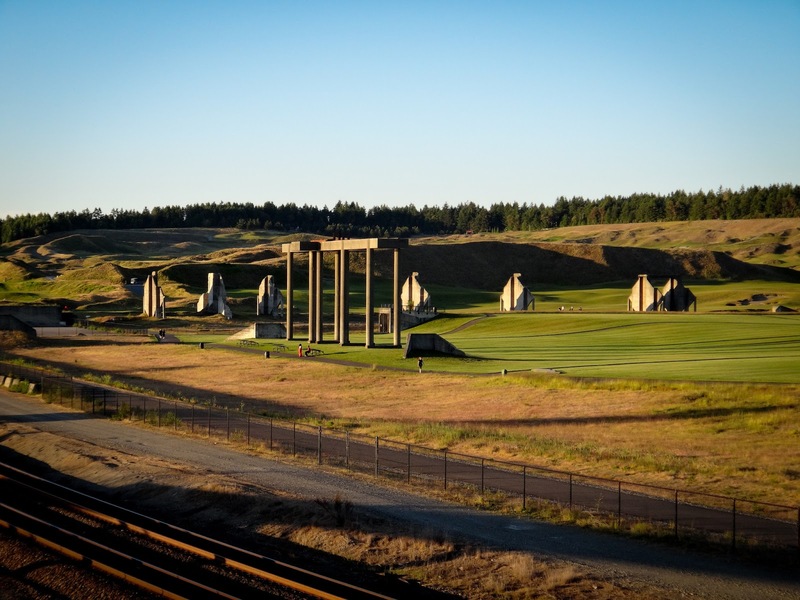 Since it's history is much shorter, the Chambers Bay mystery is much easier solved. The golf course and park were, once upon a time, a sand and gravel quarry. I even found evidence of it written on this partial wall. 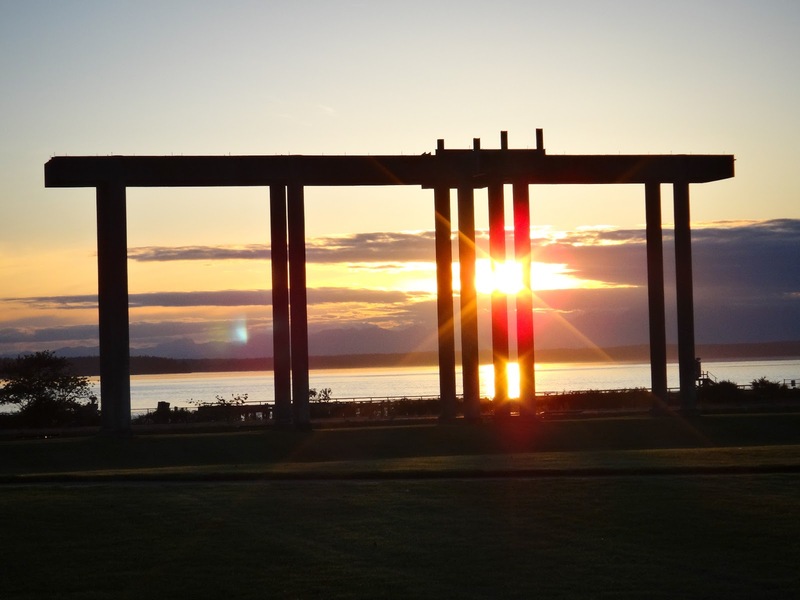 The area was used as a quarry as far back as when the Steilacoom Indian Tribe and the first European settlers lived there almost two hundred years ago. 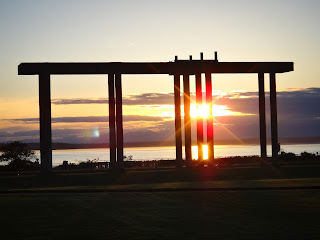 The ice flows and glaciers that moved through the Puget Sound have created gravel and multi-level soil deposits, making it an ideal place for quarrying. The land has also been used as a lumber company and a railroad center. A little bit of its history and some photos of what it used to look like can be found on the golf site's web page. That it used to be a quarry was also ideal for the golf course when the land was transformed into a park, because they got to move the dirt and sand around to sculpt the golf course and lookout area. What they chose to leave behind, though, is interesting. 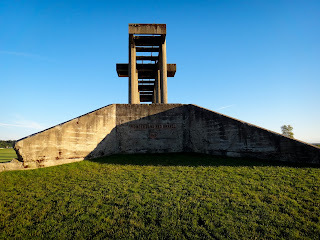 Maybe in another thousand years these big pillars in the middle of a park will bring up as many questions as Stonehenge.